Then with a bit of css styling (in particular, using css counter-increment), you can create something like the example image shown above. This is exactly what i want to achieve so thanks for posting. However i can’t get it to work and wonder if you (or anyone else could help). The form doesn’t display when your code is executed but the new html is present. Hi Janice - what version of Formalicious are you using? Something changed in an update a while back. I’ll look through my code and report back shortly. @9thwave - I can’t edit my original post, but since the last Formalicious update (1.4.4-pl) there is a new final step that is required to get this working, plus a slight template change to step 2. It’s getting close. The steps are now displaying but not clickable. I’m not sure you need the forms chunk, because you are effectively rendering the form twice? 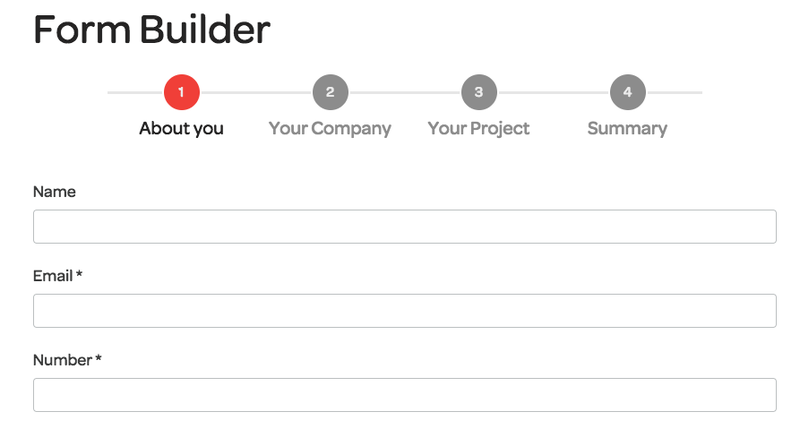 Yes, the steps are not clickable - I built it this way to funnel the end user to completion rather than clicking back and forth. I’ll keep trying to see if i can suss what’s happening. Re steps - yes of course. I can style them as necessary.